I am 5th year PhD Student at the Robotics and Intelligent Machines Group. I work in the intersection area of Computer Vision and Robotics. I am working towards a thesis on semantic segmentatation of large point clouds from RGB-D data. My advisor is Prof. Frank Dellaert. 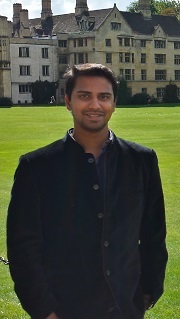 I am also being co-advised by Prof. Irfan Essa I have worked on several interesting projects before including building a GPU accelerated version of Basis Flows for high speed autonomous navigation. In the past I have also worked with Prof. Ronald Arkin on the Bio-Inspired navigation project funded by the Office of Naval research. When I don't have my thinking hat on, I like to dive, climb and ride motocycles.